Over the weekend, The Eight-Year-Old stumbled onto the concept of derivative art. 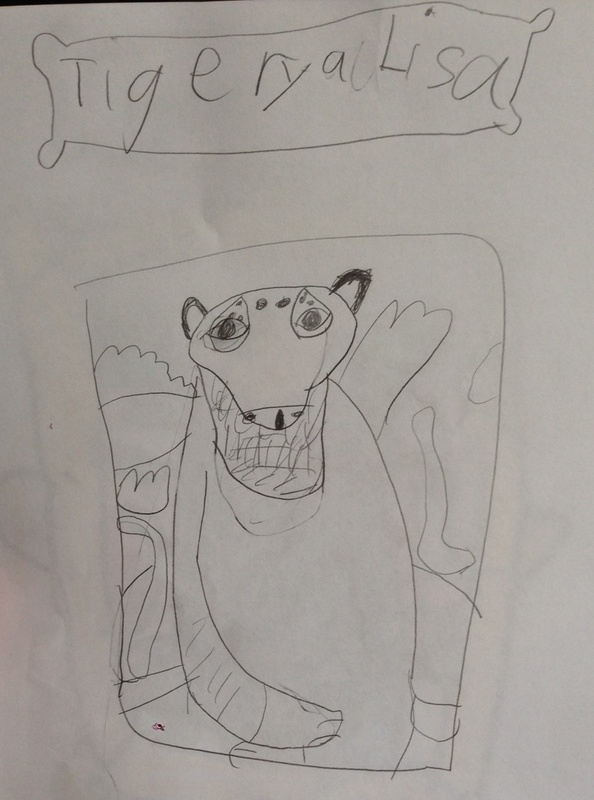 She looked up various works of art on her Daddyo’s iPad, then proceeded to redraw them as portraits of Tigery. 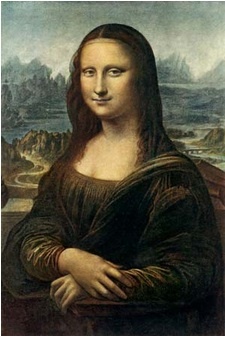 Her first effort, the Tigery a Lisa, is based on Leonardo Da Vinci’s Mona Lisa. Like any serious artist, The Eight-Year-Old drew a study for her work, before she attempted the final version. After some discussion, she agreed to let me use her works for a summer series on Caterpickles, on the condition that I tell you a little bit about the original work in the post. The Mona Lisa is perhaps too famous to require much commentary on my part. Painted in oil on wood sometime between 1503 and 1506, the Mona Lisa currently hangs in the Louvre. Although that smile may well be the most well-known smile in history, the identity of the sitter remains unknown to this day. Historians are still debating whether the Mona Lisa was a portrait of Lisa del Giocondo, the wife of a prominent Florentine merchant; da Vinci’s mother Caterina; or a self-portrait of da Vinci himself, dressed as a woman. 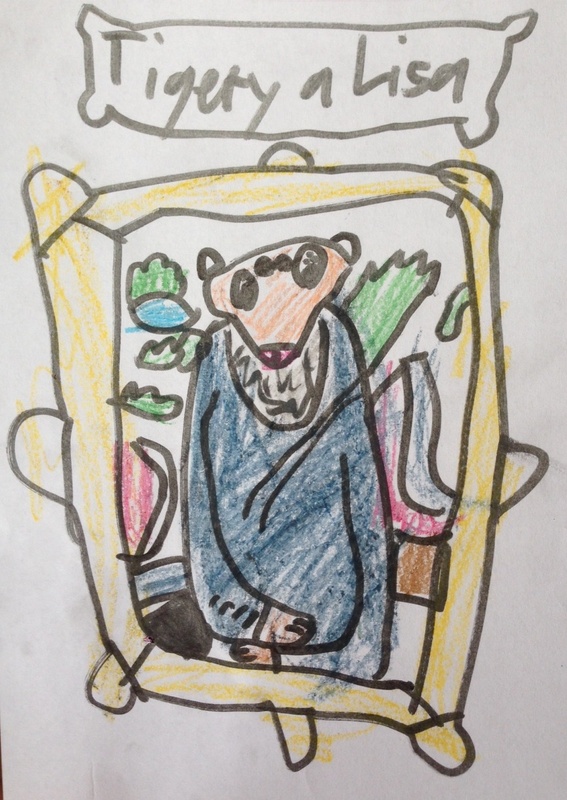 In The Eight-Year-Old’s version, the identity of the sitter is a bit more clear. Those are definitely Tigery’s eyebrows. Here is the final work, in color. The Eight-Year-Old’s art teacher rocks.